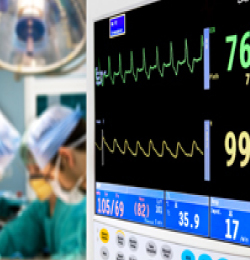 Critical care or Intensive care medicine is that branch of medicine which deals with the diagnosis and management of life threatening conditions like Respiratory Failure, Acute Respiratory Distress Syndrome (ARDS), Sepsis, Shock, Multi-Organ Failure, Coma, Electrolyte Imbalance and many more. Such patients can be very challenging & require immediate care. They are managed in the Intensive Care Unit (ICU) of a hospital.